In The Rundown, Deadshirt dives into our cardboard long boxes to shine a light on important, unusual or otherwise remarkable comic runs (mainstream or otherwise) from a specific creative team. Aside from living in a world where Spider-Man isn’t just an action figure and Captain America does regular press conferences, life is pretty normal for Alex Wilder, Niko Minoru, Molly Hayes, Chase Stein, Gert Yorkes, and Karolina Dean–the children of wealthy and powerful pillars of the Los Angeles-area. These teenagers lead separate lives, only coming together for an annual meeting between their families. While the adults gather to talk about the various charities they run together (supposedly) their children get a boring day spent playing nice with one another. Until one year, when, while exploring a secret passageway, the kids happen upon their folks performing some good ol’ dark magic, a ritual that has them murder a young woman and steal her soul. Turns out their parents call themselves The Pride and owe their success to the Gibborim, a group of Old Gods who will destroy the current world, burning it to the ground so that The Pride–and their children–can remake the world anyway they want. The night after the teens witness their parents commit murder, they run away and create their own group, becoming the titular “Runaways,” determined to stop their parents’ plans. Of course, where there’s one secret, there are many and our heroes soon discover even more about themselves and their families. It’s in the structure of the Pride and the Runaways that creator and writer Brian K Vaughan gets to firmly place this story in the Marvel Universe. Every family in the pride represents one of the big demographics in Marvel comics (with the exception of the Inhumans): Alex’s parents are human, and the kingpins of crime and drug trafficking in California; Karolina’s true form is that of a brilliantly colorful entity that inspires the codename “Lucy in the Sky” and whose parents are not from Earth; the youngest of the group, Molly, develops her mutant superstrength just in time for the plot to kick in; Gert’s parents are time travelers who give her a telepathic deinonychus (think velociraptor from Jurassic Park); Chase comes from a long line of super-geniuses, though his own intelligence never seems to match up; and Nico soon discovers that she has the ability to call forth the Staff of One in order to cast spells–but only if she’s bleeding first. The premise of The Runaways is original, the plot deceptively complex, and the core six characters an absolute joy to get to know. It’s a series that received a lot of attention when it was first published but has waned from the spotlight in more recent years. However, co-creator Brian K Vaughan’s run remains the best part of this ongoing series, producing some of the best new original Marvel characters from the early 2000s. Though the series continued after Vaughan’s departure in 2007, it was never the same. Characters feel off in those later books, and the plot was never as much fun as it was when in Vaughan’s hands. With Vaughan, themes of legacy, heroism, and love were woven together to create a story that explored what family really meant, and what to do if blood wasn’t thicker than water. 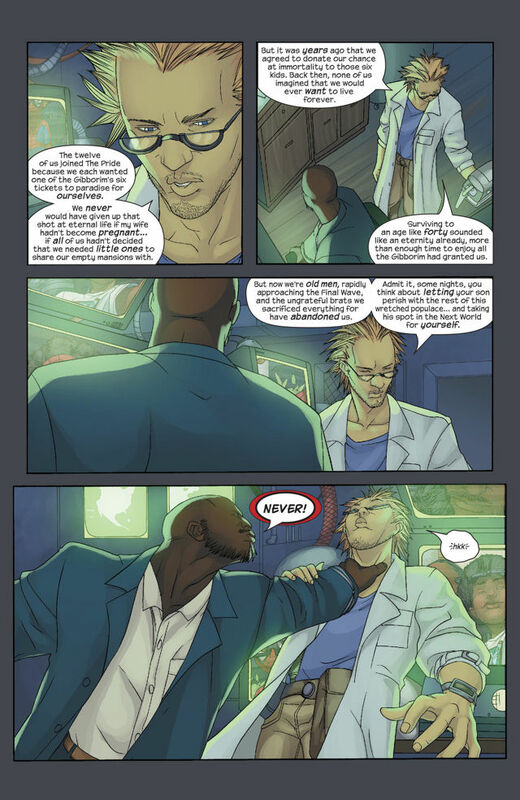 I know this section for past Rundowns usually focus on individual issues, but the best way to read Runaways is in trade form, and because Runaways was originally created as a way to target new, younger readers, these trades are collected into manga-like publications that contain individual arcs. Another problem with listing issues is that Runaways numbering restarted in 2005, after the series returned from a five month hiatus, leading to two #1s, #2s, #3s, etc. From Runaways (2003-2004) #6. Pencils by Adrian Alphona, inks by Craig Yeung, colors by Brian Reber. Reading “Pride & Joy” (the first arc in the series) is like taking a masterclass on what an establishing arc should look like: introducing us to the six kids and their parents, and the general premise of the series, in a way that instantly defines each character’s motive, and relationship with their other family members. It’s here in “Pride & Joy” that we learn what exactly The Pride’s plans are and how far their influence bleeds out into the world in general. The nascent plot is also complicated when it’s revealed there’s a traitor in the midst of the Runaways, though the traitor’s identity is kept from us, and the rest of the main cast, for a while longer. It hurts a little to say this, but co-creator Adrian Alphona’s art is my least favorite thing about this run. Something about the expressions and acting of the characters feels off and even sloppy at times. That being said, the character designs for the six teens are all so damn good. From Nico with her handmade goth-chic style, to Molly’s pink bunny hat, all of the characters are distinctive in design, mirroring their distinct personalities. Coupling the parents into their own matching uniforms so the readers can instantly recognize which child they belong to is nothing short of genius, especially when we spend less and less time with the parents as we follow the Runaways on their various adventures.The uniforms become shorthand, an easy way to recognize members of The Pride without having to invest too much time in the narrative on them. This is, after all, a story about their children. And watching their children discover who they really are and decide how they’re going to proceed is the best part of this arc. A highlight of that process comes when Karolina’s real form is revealed for the first time. Awash in pastel tones, she practically glows on the page. She looks like a nebula plucked out of the cosmos and dropped in the middle of Hollywood. If “Pride & Joy” isn’t a perfect first arc to a comics series, I don’t know what is. From Runaways (2003-2004) #14. Pencils by Adrian Alphona, inks by Craig Young, colors by Christina Strain. The climax to the first Runaways “season,” “The Good Die Young” sees the Runaways challenging their parents, learning who the traitor among them is, and losing one of their own. This is what the TV kids call a Wham Episode, in which everything changes and goalposts for our young protagonists are completely re-drawn. “The Good Die Young” starts with a first hand accounting of who The Pride were before the Gibborim summoned them, and how they came to be who they are now. It’s fun, seeing Alex’s otherwise stoic parents as young theives, running from cops with a bag full of money, bills flying through the air as they speed down the freeway, or learning how Gert’s parents came to be stuck in the 1980s–the “worst decade of the Millenium,” as Gert’s mother puts it. From Runaways (2005-2007) #4. Pencils by Adrian Alphona, inks by Craig Yeung. The first arc after a five month hiatus, “True Believers” finds the Runaways reeling after the loss of one of their own. This arc might just be the best in the series, encapsulating everything Runaways is about all while creating an opportunity for the young protagonists to come to terms with the many changes they’ve faced. The theme of legacy burns bright in these issues, as the Runaways come face to face with the “son” of Ultron–a teenager named Victor Mancha, who was until very recently under the impression that he was human. According to news from the future, Victor will eventually evolve into Victorious, a cyborg that will rival Ultron in terms of terribleness and mass-genocide. When the Runaways get ahold of Victor, they have to decide what to do with him. Namely, do they shut him down so Victorious will never be, or do they trust him to make his own decisions, to forge his own path, and to avoid his terrible future on his own? In this way, Victor’s problems mirror that of the Runaways as a group. Like Victor, the Runaways have villainous parents, and like Victor, they had to make the decision to break from their families. Not only do questions of legacy fill this arc–how to deal with the ones left behind by parents, how to make your own–but questions about the nature of personhood and destiny elevates this narrative into a more mature plane than perhaps the previous arcs. Even though Victor could just be a plot device meant to engage our (now) five protagonists with a deeper introspection of themselves and of the group, Victor himself is such a fantastic character that he avoids any shallow characterization that a lesser writer might have left him with. Victor is just a normal teenager, but he’s challenged to rise to the occasion and become a hero, and the rest of the Runaways are challenged to put aside preconceived notions and prejudices. “True Believers” is just the arc Runaways needed to evolve past its original conceit and into a more sustainable comics series. Runaways went on for another two years after Brian K Vaughan left in 2007, with Sara Pichelli and Kathryn Immonen being the creative team during the series’s last few issues. But, really, no other issues end up measuring up to Vaughan’s turn, mostly because no other arcs feel like a creator-owned story dropped into the middle of the Marvel Universe. Besides having a distinctive “indie” feel, BKV’s time on the series has a consistent tone and underlying theme: family, and what it really means to belong to one. Ultimately, the Runaways reject their own families, opting instead to create one of their own out of the friends around them. This is a powerful message, and maybe one especially so for the comic’s intended audience. Another important aspect of Vaughan’s run was the diversity of the main cast. When it began, the Runaways team consisted of four women and two men–a gender differential that’s all but unheard of in the world of comics. Usually team books consist of four men and one (sometimes two) women, with the dynamic always firmly rooted in male. Not so for these early books. Eventually, Xavin joins the cast. A Skrull in love with Karolina, Xavin is willing to take on whatever form Karolina is attracted to, eventually settling on that of a woman. Xavin can be read as a gender queer individual, though the fact that she is an alien and is introduced as an antagonist makes this interpretation problematic. But that’s a topic for a whole other essay. The Runaways aren’t just a completely white and straight team, either, instead the cast is surprisingly diverse in race and sexual orientation. Karolina’s early struggles with her feelings for Nico are poignant and feel very real. This kind of representation is important, especially for Runaways‘ intended teenage demographic. Runaways is an excellent comics series for teenage and adult readers alike, as well crafted and as textured as master storyteller Brian K Vaughan’s more well known works. If you absolutely have to read more Runaways after Brian K Vaughan’s tenure, pick up Joss Whedon’s arc, “Dead End Kids,” in which the Runaways are pulled back in time to 1907. Full of Whedon’s classic snappy dialogue and an interesting plotline that involves mutant gangs facing off against one another in the streets of Manhattan, “Dead End Kids” most closely captures the characters and team dynamic than any other later iteration of the group. It’s got beautiful art by Michael Ryan, and an ending that’ll punch you in the frigging gut. But don’t go looking to any of the arcs beyond. That way only sadness lies. Sadness, and many storylines lacking the heart found in Vaughan’s run. Instead, these later issues end up feeling canned, a more generic Marvel comic than the previous ones. Luckily, though, the Runaways characters have been embraced by the larger Marvel canon, appearing in various crossovers (like Civil War) and ensemble books (Avengers Academy/X-Men/Avengers A.I. ), firmly entrenching themselves among other classic and long-established characters, like Kitty Pryde and Hank Pym. And it’s not like there’s a shortage of heartfelt tales of teenage angst in the Marvel canon, either, should you feel the need to read something in keeping with Niko, Chase, Molly, and the rest. I’d especially recommend G. Willow Wilson’s Ms. Marvel and Kieron Gillen’s Young Avengers run, as well as Miles Morales: Ultimate Spider-Man by Brian Michael Bendis. All three of these books feel very much in the same spirit as Vaughan’s Runaways, with likeable and complex teen protagonists and wonderfully unique and engaging plotlines. 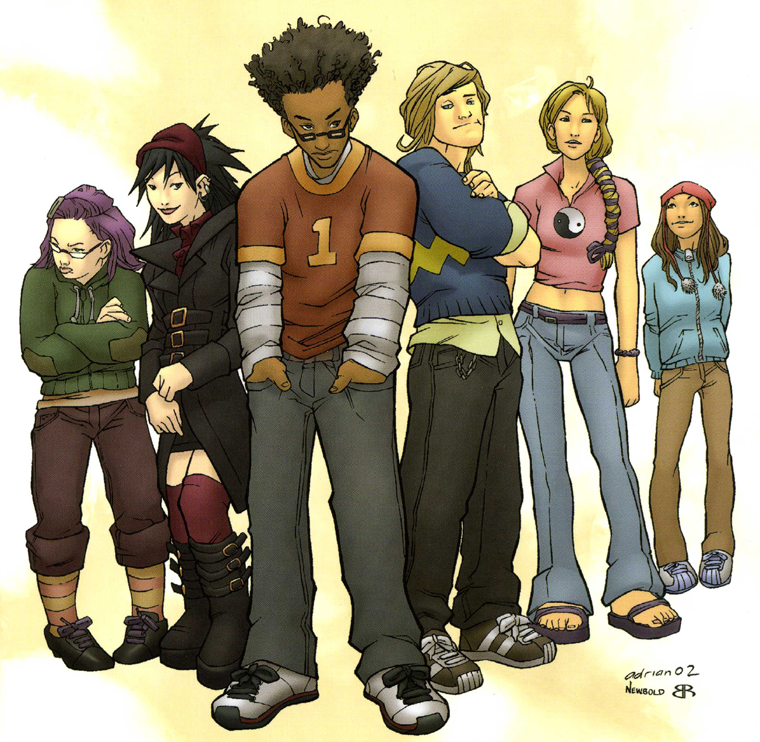 As for me, I’m holding out hope that someday we’ll get that great Runaways follow-up the series deserves, and we’ll see these teens together again, back in L.A. and back in action.